5555 likes for our Facebook Fanpage – Looking for a New Look! Yeah! 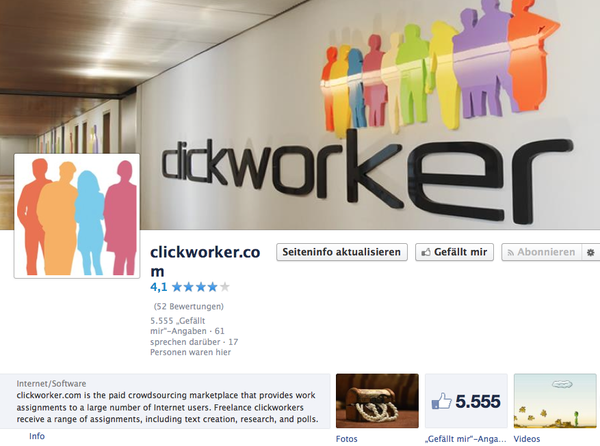 Our Facebook Fanpage has just reached the magical number of 5555 “Likes”. That is not only a reason to celebrate, but also time for a little facelift. Having fun and learning is a good combination. The so-called “serious games” prove that for gaming systems, computers, and cell phones. “Serious games” have been used in various areas for a long time now. Too much to do and even forgotten the shopping list? Stress management and memory-training apps such as BrainJogging are being integrated into the world of Smartphones. Recently, the “Stress Free” app was included in the National Health Service’s (NHS) list of acknowledged measures for health care. The app provides playfully easy instructions for different relaxation exercises that can restore inner balance if used correctly. Physical fitness can also be considerably improved with moving and sport games. It is even more fun to do it in groups. The gaming market has a huge range on offer including dancing, golf and yoga and even virtual sailing. Up until now it was easy to register at clickworker.com without any verification of the personal data. Unfortunately, this was sometimes used for criminal purposes where some people registered with false details just to cause harm. Either they were working on projects they would normally not be authorised to do, thus falsifying the results, or they used their anonymity from their false information in order to submit bad work in large quantities on purpose.This type of behaviour not only damaged the reputation of clickworker.com with our clients, but also resulted in less tasks being available for carefully-working users. In order to prevent this type of behaviour in the future, we are introducing an account verification system via mobile number.